In 1970 the Government of Uttar Pradesh passed an order, under Section 99-A of the Cr.P.C, forfeiting the book "Ramayana: A True Reading" (and its Hindi translation) authored by EVR, the legendary rationalist thinker and social activist from Tamil Nadu. The High Court of Allahabad quashed the Government Order. The Government of Uttar Pradesh filed an appeal in the Supreme Court of India against the High Court order. The Supreme Court dismissed the appeal holding that, to quote, "the possible invocation of the powers under Section 99A of the Code of Criminal Procedure by various State Governments on several occasions induces us to enter a caveat. Basic unity amidst diversity notwithstanding, India is a land of cultural contrarieties, co-existence of many religions and anti-religions, rationalism and bigotry, primitive cults and materialist doctrines. The compulsions of history and geography and the assault of modern science on the retreating forces of medieval ways--a mosaic like tapestry of lovely and unlovely strands---have made large and liberal tolerance of mutual criticism, even though expressed in intemperate diction, a necessity of life. Governments, we are confident, will not act in hubris, but will weigh these hard facts of our society while putting into operation the harsh directives for forfeiture". The judgement was authored by Justice V.R. 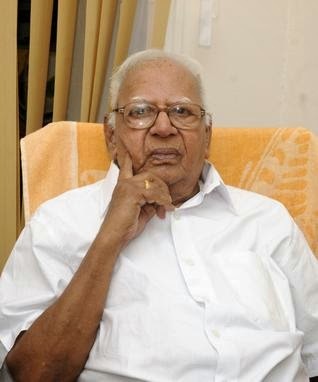 Krishna Iyer, who passed away yesterday (04 December 2014). We reproduce the entire judgement in memory of Justice Krishna Iyer. ACT: Code of Criminal Procedure, S. 99-A - Scope of - Whether 'Statement of grounds' a mandatory provision. HEADNOTE: The appellant Government passed an order under Section 99-A of the Cr. P.C., for the forfeiture of a book entitled 'Ramayan: A true Reading' in English and its translation in Hindi, by Periyar EVR, of Tamil Nadu, on the ground that the book intended to outrage the religious feelings of a class of citizens of India, namely, the Hindus. Thereupon, an application was made by the respondent publisher of the book. under Section 99-C of the Code to the High Court, which by its special Bench, allowed the application and quashed the notification on the ground that the State Government had failed to state the grounds of its opinion as required in Section 99-A of the Code. The appellant contended that a specific statement of grounds by the Government, is not a mandatory requirement under Section 99-A of the Cr.P.C., & that it can be made by implication. Dismissing the appeal, the Court HELD: To relieve the State from the duty to state grounds of forfeiture, is to permit raptorial opportunity for use of such power over people's guaranteed liberty. Section 99-A says that you must state the ground and it is no answer to say that they need not be stated because they are implied. An order may be brief but not a blank. A formal authoritative setting forth of the grounds is statutorily mandatory. Section 99-C enables the aggrieved party to apply to the High Court to set aside the prohibitory order and the Court examines the grounds of Government given in the order. The Court cannot make a roving enquiry beyond the grounds set forth in the order and if the grounds are altogether left out, the valuable r ight of appeal to the Court is defeated. [610G-H, 620B-C, G-H] Harnam Das v. State of U.P.A.I.R. 1961 S.C. 1662, 1666 - dictum applied. Scheneck v.U.S. (1918) 249 U.S. 47, 527_-63 L.ed. 470, 473-474: Abrams v. U.S. (1919) 250 U.S. 616, 629=63 Led. 1173, 1180; Bowmen v. Secular Society Ltd. (1917) A.C. 406, 466-7; Arun Ranjan Ghosh v. State of West Bengal (I.L.R. 1957 2 Cal., 396), Jwalamukhi v. State of A.P. (I.L.R. 1973 A.P. 114) referred to. Mohammad Khalid v. Chief Commissioner (A.I.R. 1968 Delhi 18 FB) Chinna Annamalai v. State (A.I.R. 1971 Madras 448 F.B. ), Bennet Coleman & Co. v. State of J & K (1974 J & K .L.R. 591) approved. CRIMINAL APPELLATE JURISDICTION: Criminal Appeal No. 291 of 1971. (Appeal by Special Leave from the Judgment and Order dated 19-1-1971 of the Allahabad High Court in Crl. Misc. Case No. 412/ 70). D.P. Uniyal and O.P. Rana, for the Appellant. S.N. Singh, for the Respondent. The Judgment of the Court was delivered by KRISHNA IYER, J. Some cases, apparently innocent on their face and this appeal is one such--may harbour beneath the surface profoundly disturbing problems concerning freedoms, the unfettered enjoyment of which is the foundation for a democracy to flourish. The present appeal, by special leave, relates. to the forfeiture of a book captioned 'Ramayan: A True Reading' in English and its translation in Hindi, by the late political figure and leader of the Rationalist Movement, Periyar EVR, of Tamil Nadu, by an order of the State Government of Uttar Pradesh, purporting to be passed under s. 99A of the Code of Criminal Procedure. In the view of the appellant government this book was sacrilegiously, outrageously objectionable, being 'deliberately and maliciously intended to outrage the religious feelings of a class of citizens of India, viz., Hindus by insulting their religion and religious beliefs and the publication whereof is punishable under s. 295A IPC'. This notification contained an appendix setting out in tabular form the particulars of the relevant pages and lines in the English and Hindi versions which, presumably, were the materials which were regarded as scandalizing. Thereupon an 'application was made by the respondent who was the publisher, under s. 99C of the Code, to the High Court which, by its special Bench, allowed the application and quashed the notification. The aggrieved State has appealed to this Court, by special leave. and counsel for the appellant has urged before us that the Government notification does not suffer from the vice which, according to the High Court, invalidated it and that the impugned book makes a foul assault on the sacred sentiments of the vast Hindu population of the State since the author anathematized in unvarnished language the great incarnations like Sree Rama and disdainfully defiled the divinely epic figures like Sita and Janaka all of whom are worshiped or venerated by the Hindu commonalty. Sidestepping this issue the High Court, by majority judgment, struck down the order on the short ground that 'the State Government did not state the grounds of its opinion as required in s. 99A o[ the Code. For that reason alone the petition has to be allowed and the order of forfeiture set aside in Court'. (b) any document, wherever printed, appears to the 'State Government to contain any .... or any matter which promotes or is intended to promote feelings of enmity or hatred between different classes of the citizens of India or which is deliberately and maliciously intended to outrage the religious feelings of any such class by insulting the religion or the religious beliefs of that class, that is to say, any matter the publication of which is punishable under section 124-A or Section 153-A or Section 295-A of the Indian Penal Code, the State Government may, by notification in the official Gazette, stating the grounds of its opinion, declare every copy of the issue of the newspaper containing such matter, and every copy of such book or other document to be forfeited to Government..."
(iii) a statement of the grounds of Government's opinion. Thereupon the State Government may, by notification, declare every copy of the issue containing such matter to be forfeited. Does the present notification fulfill the third requisite of legal viability or is it still-born, being mortally wounded by absence of the statement of grounds ? The High Court holding this vital ingredient missing, has voided the order, but Sri Uniyal, counsel for the State, submits that though there is no express enunciation of the grounds for' Government's opinion, the appendix makes up for it. He argues that the numbers of the pages and lines of the of- fending publication supply both the 'matter' and the 'grounds', the latter being so patent that the. omission is inconsequential. More explicitly, the contention is that a mere reference to the matter, sufficiently particularised, functionally supplies, by implicit reading or necessary implication, the legal requirement of statement of grounds. The office of furnishing the reason or foundation for the governmental conclusion is substantially, though not formally, fulfilled where the appendix, an integral part of the order, sets out self-speaking materials. When the grounds are self-evident, silence is whispered speech and the law does not demand their separate spelling out as a ritualistic formality. The counter-contention is that express conditions for barricading the fundamental freedoms of expression designedly imposed by the Code cannot be whittled down by the convenient doctrine of implication, the right being too basic to be manacled without strict and manifest compliance with the specific stipulations of the provision. After. all fundamental rights are fundamental in a free Republic, except in times of national emergency, where rigorous restraints, constitutionally sanctioned, are clamped down. We are dealing with the Criminal Procedure Code and Penal Code and these laws operate at all times. We have therefore to interpret the law in such a manner that liberties have plenary play, subject of course to the security needs of the nation, as set out in the Constitution and the laws. Even so, counsel for the appellant contends that the references in the forfeited book, as indicated in the appendix to the order, are so loudly repulsive and malevolently calumnious of Sree Rama, Sita and Janaka that the court must vicariously visualize the outraged feelings of the Hindus of Uttar Pradesh and hold that the grounds are written in the order in invisible ink. When we assess the worth of this submission we have to notice (a) the constitutional perspective, i.e., whether the basic freedoms are sought to be legally handcuffed; and (b) the existence of alternative possibilities of popular understanding of the prescribed publication which necessitate some statement of the circumstances and the reasons which induced the government in the given conditions of ethos and otherwise to reach the opinion it has recorded. The State, in India, is secular and does not take sides with one religion or other prevalent in our pluralistic society. It has no direct concern with the faiths of the people but is deeply obligated not merely to preserve and protect society against breaches of the peace and violations of public order but also to create conditions where the sentiments and feelings of people of diverse or opposing beliefs and bigotries are not so molested by ribald writings or offensive Publications as to provoke or outrage groups into possible violent action. Essentially, good government necessitates peace and security and whoever violates by bombs or books societal tranquility will become target of legal interdict by the State. We propose to view the issue before us both from the textual angle and from the larger standpoint and are led to the conclusion, by an interaction of both, that the High Court was not wrong and the appeal must fail. The-various High Courts in India have had occasion to consider this question but have come to divergent conclusions. as will presently appear. "What then is to happen when the Government did not state the grounds of its opinion ? In such a case if the High Court upheld the order, it may be that it would have done so for reasons which the Government did not have in contemplation at all. If the High Court did that, it would really have made an order of forfeiture itself and not upheld such an order made by the Government. This, as already stated, the High Court has no power to do under s. 99-D. It seems clear to us, therefore, that in such a case the High Court must set aside the order under s. 99-D, for it cannot then be satisfied that the grounds given by the Government justified the order. You cannot be satisfied about a thing which you do not know." We do not mean to say that the grounds or reasons link- ing the primary facts with the forfeiter's opinion must be stated at learned length. That depends. In some cases, a laconic statement may be enough, in others a longer ratiocination may be proper but never laches to the degree of taciturnity. An order may be brief but not a blank. This conclusion establishes a constitutional rapport between the penal section 99A and the fundamental right Art. 19. To relieve the State from the duty to state grounds of forfeiture, in the face of the words of s. 99A, is to permit raptorial opportunity for use of such power over people's guaranteed liberty. Why do we say so ? Surely, security of the State and peace of society demand restrictions on individual rights and we are the slaves of the law that we may be free. (1) A.I.R. 1961 S.C. 1662, 1666. "It is a fundamental principle, long established, that the freedom of speech and of the press, which is secured by the Constitution, does not confer an absolute right to speak or publish, without responsibility, whatever. one may choose, or an unrestricted and unbridled licence that gives immunity for every possible use of language and prevents the punishment of those who abuse this freedom." "That a State in the exercise of its police power may punish those who abuse this freedom by utterances inimical to the public welfare, tending to corrupt public morals, invite to crime or disturb the public peace, is not open to question ..... "
"We admit that in many places and in ordinary times the defendants, in saying all that was said in the circular, would have been within their constitutional rights. But the character of every act depends upon the circumstances in which it is done... The law's stringent protection of free speech, would not protect a man in falsely shouting 'fire' in a theatre, and causing panic. It does not even protect a man from an injunction against uttering words that may have all the effect of force... The question in every case is whether the words used are used in such circumstances and are of such a nature as to create a clear and present danger that they will bring about the substantive evil that Congress has a right to prevent. It is a question of proximity and degree." "Persecution, for the expression of opinions, seems to me perfectly logical. If you have no doubt of your premises or your power and want a certain result with all your heart you naturally express your wishes in law and sweep away all opposition. To allow opposition by speech seems to indicate that you think the speech impotent, as when a man says that he has squared the circle, or that you do not care wholeheartedly for the result, or that you doubt either your power or your premises. But when men have realized that time has upset many fighting faiths, they may come to believe even more than they believe the very foundations of their own conduct that the ultimate good desired is better reached by free trade in ideas-that the best test of truth is the power of the thought to get itself accepted in the competition of the market; and that truth is the only ground upon which their wishes safely can be carried out. That at any rate, is the theory of our Constitution. It is an experiment, as all life is an experiment." (1) (1918)249 U.S.47.52=63 L.E.d.470.473-474. (2) (1919) 250 U.S. 616, 629=63 L. ed. 1173, 1180. (3) (1917) A.C. 406, 466-7. "The words, as well as the acts, which tend to endanger society differ from time to time in proportion as society is stable or insecure in fact, or is believed by its reasonable members to be open to assault. In the present day meetings or processions are held lawful which a hundred and fifty years ago would have been deemed seditious and this is not because the law is weaker or has changed, but because, the times having changed, society is stronger than before. In the present day reasonable men do not apprehend the dissolution or downfall of society because religion is publicly assailed by methods not scandalous. Whether it is possible that in the future irreligious attacks, designed to undermine fundamental institutions of our society, may come to be criminal in themselves, as constituting a public danger, is a matter that does not arise. The fact that opinion grounded on experience has moved one way does not in law preclude the possibility of its moving on fresh experiences in the other; nor does it bind succeeding generations, when conditions have again changed. After all, the question whether a given opinion is a danger to society is a question of the times and is a question of fact. I desire to say nothing that would limit the right of society to protect itself by process of law from the dangers of the moment, whatever that right may be, but only to say that, experience having proved dangers once thought real to be now negligible, and dangers once very possibly imminent to have now passed away, there is nothing in the general rules as to blasphemy and irreligion... which prevents us from varying their application to the particular circumstances of our time in accordance with that experience." Such is our constitutional scheme, such the jurisprudential dynamics and philosophical underpinnings of freedom and restraint, a delicate area of fine confluence of law and politics which judges by duty have to deal with. The journey's end has now arrived. Government has the power and responsibility to preserve societal peace and to forfeit publications which endanger it. But what is thereby prevented is freedom of expression, that promoter of the permanent interests of human progress. Therefore, the law (s. 99A) fixes the mind of the Administration to the obligation to reflect on the need to restrict and to state the grounds which ignite its action. To fall here is to fault the order. That is about all. Before concluding, we clarify that we express no view on the merits of the book or its provocative vitriol. It depends on a complex of factors. What offends a primitive people may be laughable for progressive communities. What is outrageous hearsay for one religion or sect or country or time may be untouchably holy for another. Some primitive people may still be outraged by the admonition of Swami Vivekananda : 'Our religion is in the kitchen, our God is the cooking pot, and our religion is don't touch me, I am holy' (quoted at p. 339 by Jawaharlal Nehru in Discovery of India). The rule of human advance is free thought and expression but the survival of society enjoins reasonable curbs where public interest calls for it. The balance is struck by governmental wisdom overseen by judicial review. We speak not of emergency situations nor of constitutionally sanctified special prescriptions but of ordinary times and of ordinary laws. A parting thought which we put to appellant's counsel may be stated here. If the State Government, judging by current circumstances, feels impelled to invoke s. 99A against the book in question it is free to do so, subject of course to fulfillment of the requirement to state the grounds of its opinion and the operation of s. 99C of the Code. Our detailed discussion disposes of the question of law and resolves the conflict immanent or apparent in the rulings of the various High Courts ranged against each other. They are: Arun Ranjan Ghose v. The State of West Bengal(1); and Jwalamukhi v. State of A.P. (2) which support the view propounded by the appellant; and Mohammad Khalid v. Chief Commissioner(3); China Annamalai v. State(4) and Bennet Coleman & Co. Ltd v. State of J & K(5) which held with the Allahabad judgment under appeal. Perhaps there is no need to discuss the ratio in each of the above cases as the rival points of view have been already covered in the earlier part of this judgment. The possible invocation of the powers under s. 99A of the Code of Criminal Procedure by various State Governments on several occasions induces us to enter a caveat. Basic unity amidst diversity notwithstanding, India is a land of cultural contrarities, co-existence of many religions and anti-religions, rationalism and bigotry, primitive cults and materialist doctrines. The compulsions of history and geography and the assault of modern science on the retreating forces of medieval ways--a mosaic like tapestry of lovely and unlovely strands---have made large and liberal tolerance of mutual criticism, even though expressed in intemperate diction, a necessity of life. Governments, we are confident, will not act in hubris, but will weigh these hard facts of our society while putting into operation the harsh directives for forfeiture. From Galileo and Darwin, Thoreau and Ruskin to Karl Marx, H.G. Wells, Barnard Shaw and Bertrand Russel, many great thinkers have been objected to for their thoughts and statements-avoiding for a moment great Indians from Manu to Nehru. Even today, here and there, diehards may be found in our country who are offended by their writings but no Government will be antediluvian enough to invoke the power to seize their great writings because a few fanatics hold obdurate views on them. (1)I.L.R. 2 Cal. 396. (2) I.L.R. A.P. 114. (3) AIR 1968 Delhi 18 (F.B.). (4) AIR 1971 Madras 448 (FB). (5) 1974 J & K L.R. 591. "Letting a hundred flowers blossom and a hundred schools of thought contend is the policy for promoting the progress of the arts and sciences." "There is never sufficient certitude in social matters to make it desirable for any government to denounce it in the name of the State. American experience of the last few years has made it painfully clear that there will never be present in constituted authority a sufficient nicety of discrimination to make R certain that the opinion attacked is one reasonably certain to give rise to present disorder." "It is no answer to this view to urge that it is the coronation of disorder. If views which imply violence have a sufficient hold upon the State to disturb its foundations, there is some- thing radically wrong with the habits of that State." "Almost always - there are rare cases in which persecution has proved successful - the result of free expression is such a mitigation of the condition attacked as to justify its use; almost always,' also, to prohibit free speech is to drive the agitation underground. What made Voltaire dangerous to France was not his election to the Academy, but his voyage to England. Lenin was infinitely more dangerous to. Czarist Russia in Switzerland than he would have been in the Dume. Freedom of speech, in fact, with the freedom of assembly therein implied, is at once the catharsis of discontent and the condition of necessary re- form. A government can always learn more from the criticism of its opponents than from the eulogy of its supporters. To stifle that criticism is--at least ultimately--to prepare its own destruction." A note of circumspection. In the current context of constitutionally proclaimed emergency, the laws have perforce to act in the narrow limits inscribed in the Emergency provisions and this decision relates to the pre-Emergency legal order. We dismiss the appeal.